Especially no-bake recipes are so much fun and taste so natural and pure. You can taste all ingredients. The last recipe I posted about vegan desserts Soft No Bake Banana Bread Protein Bars (Vegan) was a big success and I got many positive reactions about it. 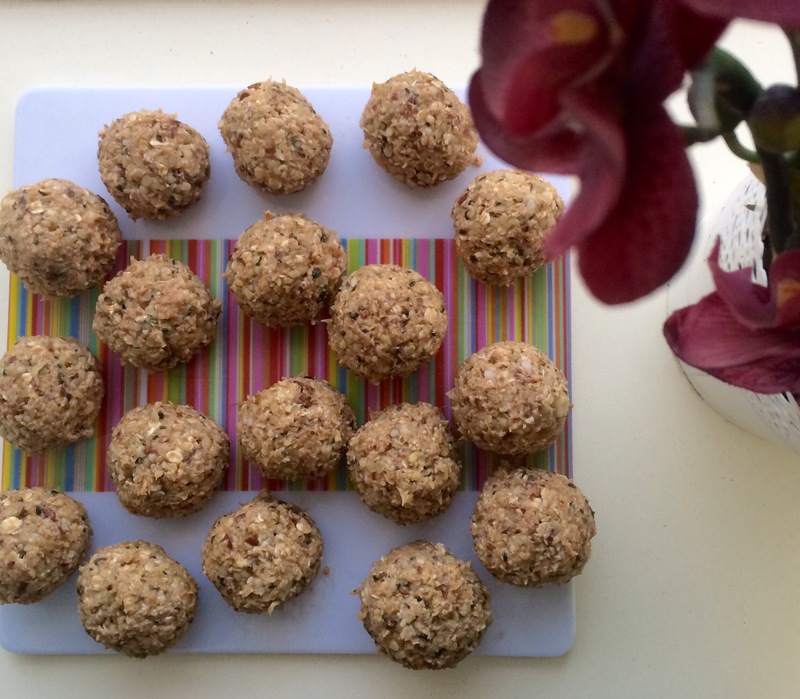 This time, I tried to make protein rich energy balls which are easy to make, with only 7 ingredients. And the best part about it, you can take them with you to work. Anytime you have a craving, and you feel like running to the next vending machine to get an unhealthy sugary chocolate bar, you will have this awesome healthy alternative. 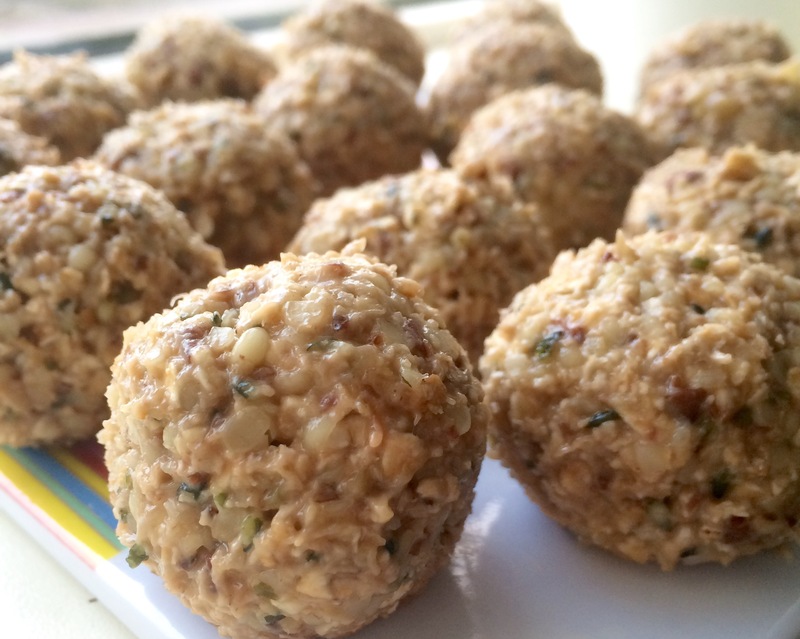 These balls are just delicious and sooo easy to make. Okay enough day dreaming about energy balls. It is time to share this recipe with the world. 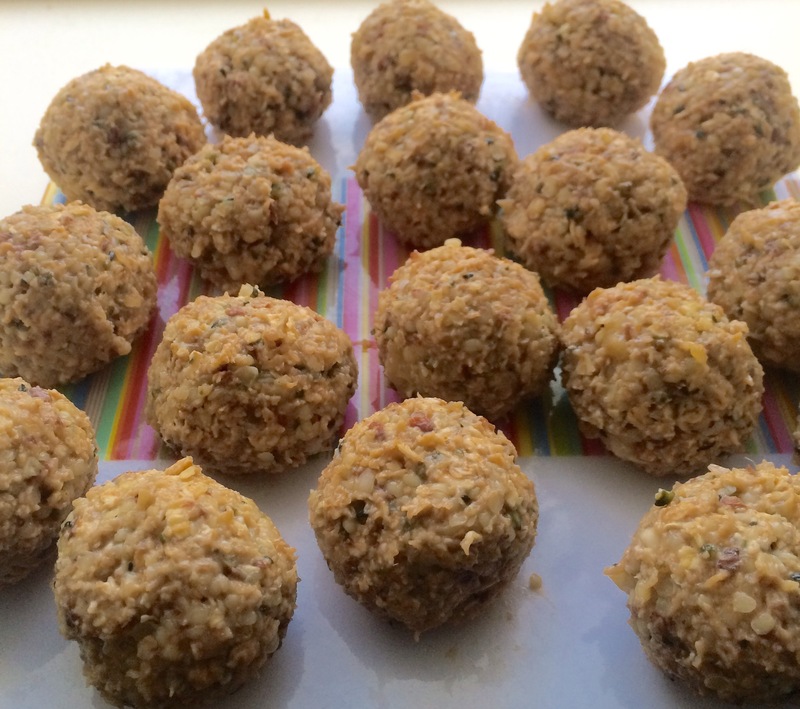 This recipe makes around 20 energy balls. Mix all ingredients in a bowl. Make balls and put them in the refrigerator to cool and get the right consistance.